Rapid prototyping technologies, such as 3D printing and 3D machining, are useful for validating visual and mechanical concepts. Once this stage of prototyping is complete, it’s necessary to move on to a new stage with a pre-industrialisation or industrialisation phase in order to implement a project. The requirements may vary, from ten to several hundred parts, depending on the case. This is called a small series, pre-series or microseries depending on the number of parts. Two technologies make it possible to produce parts in small series with relevant manufacturing times and costs. These technologies are thermoplastic injection and silicone moulding. The thermoplastic injection moulding process, also called thermoplastic moulding, uses an aluminium or steel mould to design the parts. After the production of the industrial mould, this technique allows the production of small series of several thousand plastic parts. 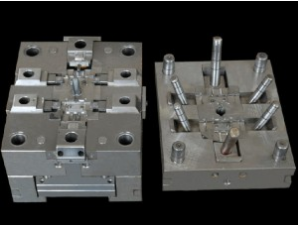 The moulds for this type of production are then economically optimised to reduce costs: use of aluminium for the impressions, common or interchangeable carcass, etc. 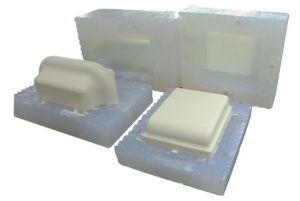 In general, silicone moulding technology is used in rapid prototyping after 3D prototyping and 3D plastic machining. It is used to produce small series of plastic parts, because silicone moulds, also known as prototype moulds, make it possible to obtain parts usable “as is” in a short period of time. In fact, the parts produced with this technology have visual and functional properties that are very similar to those of injected parts. Here is an example of a production of a small series of functional parts. Our workshop has made a set of 200 copies of these parts. We used the material UR2180. In addition, the manufacturing of silicone moulds has the advantage of limiting the investment in tooling. They allow the duplication of several dozen prototypes from a master part. Our workshop is able to produce plastic parts in small quantities. We are able to prototype visual and functional parts. If you require small series of plastic parts, send us your request via our quotation page.